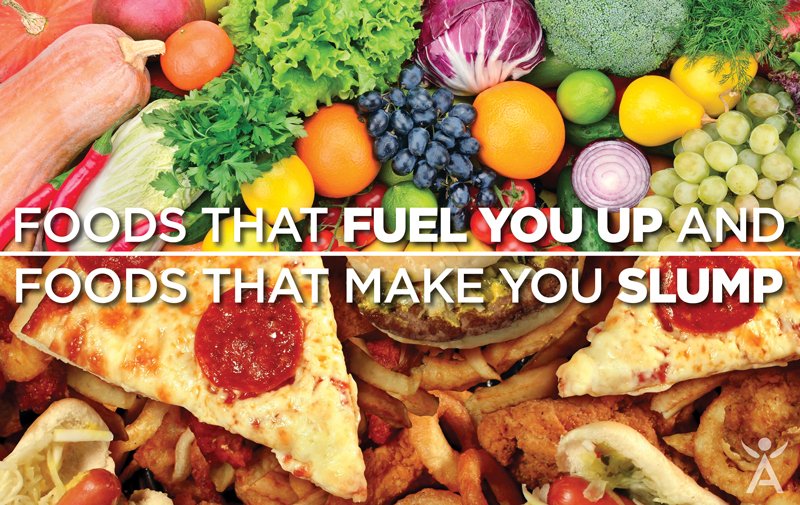 What are the Best and Worst Foods for Energy? Are you someone who reaches for coffee as soon as you roll out of bed? We all know the importance of adequate sleep but if you’re finding you need to down multiple coffees to keep yourself alert throughout the day even after a solid eight hours of shut-eye, it might be time to reevaluate what foods you are regularly consuming. Nutrition plays a large role in our energy levels and the wrong foods could be contributing to your inability to stay awake and alert. We’ve pulled together a list of some of the biggest energy sappers and energisers that’ll have you skipping your 3:00pm coffee in no time. White bread, muffins, waffles, croissants and scones are often viewed as common breakfast foods but digging into these bad boys will leave you at risk of a serious sugar crash. The refined carbs found in these foods boosts blood sugar quickly, leaving you feeling even more tired than you did before you downed them. Similarly, fatty breakfast meats such as bacon and sausages contain a high fat content which is difficult for the body to digest. With all your energy going towards digestion, you’ll find yourself feeling sleepy fast. A packet of chips for morning or afternoon tea and a brownie as an after-dinner snack sounds harmless but if you’re reaching for these calorie-laden snacks on the daily, your energy levels will begin to take a hit as well as your waistline. Full of fat and sugar, even in small portions these foods are high in calories and should be avoided on a day-to-day basis – try saving them for a weekend treat instead of your go-to work snack. If your lunch or dinner plate is dominated by the above, it’s likely you aren’t fuelling your body with the nutrients it needs. White rice and pasta strips the food of its nutrients leaving you missing out on important fibre content whilst store-bought soups and sauces are full of unnecessary sugar, fat, salt and preservatives. In conjunction to these serious energy sappers, be sure to fill your plate with vegetables to benefit from vital antioxidants, vitamins and minerals that keep your body functioning at its peak. Options like zucchini noodles are a great way to eat more vegetable in place of serial energy sappers such as white pasta.